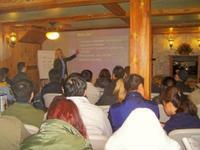 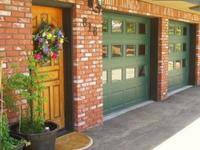 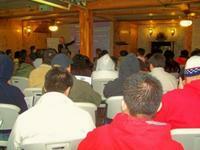 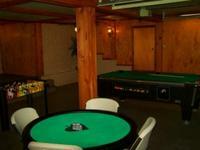 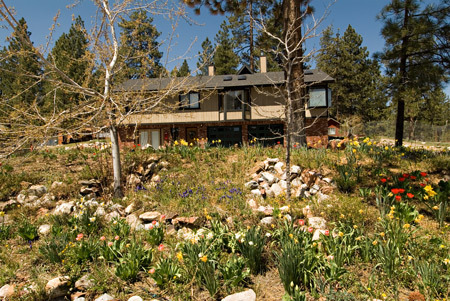 Max Occupancy: 54 Rustic meeting room is rented along with Golden Bear Manor (largest vacation cabin #28). 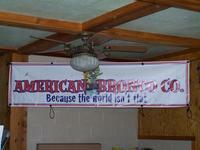 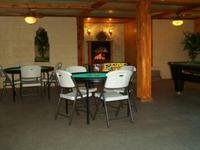 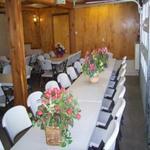 Rustic indoor meeting space can be used for Weddings, Retreats, Vacation Parties, Scrap Booking or other group events. 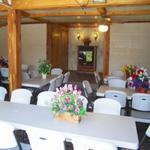 Set up meeting style for group up to 65 guests, or dining style for group up to 54 guests. 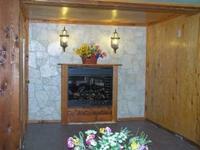 It has a stage area, Fireplace and forced air heat. 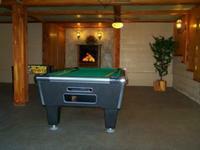 Free wi-fi and large flat screen TV. 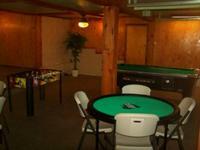 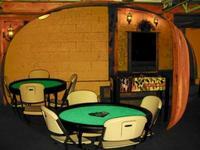 By special request, it can also be set up for a more cozy family event with poker table, air hockey, and a pool table to provide a game room setting. 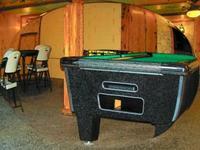 Audio and video equipment with amp, equalizer, DVD player and large speakers are included. 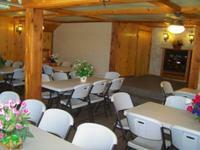 Meeting room rental will be added to cabin #28. Top listings are in these categories: CHRISTIAN FAMILY VACATION RESORTS, CHRISTIAN MOUNTAIN RESORTS, CHRISTIAN GROUP RETREATS, CHRISTIAN FAMILY REUNIONS, CHRISTIAN FAMILY VACATIONS, CALIFORNIA CHRISTIAN RETREATS, SOUTHERN CALIFORNIA GROUP RESORTS, CALIFORNIA FAMILY RESORTS, FAMILY RESORT VACATIONS, FAMILY RESORT BIG GROUP VACATIONS, AAA APPROVED CABINS.